I don’t think enough people think about pork when cooking or putting together their weekly meal plans. It’s such a versatile meat and SO easy to cook! And did I mention delicious? In regards to tacos, most people only focus on shredded pork as their protein, but using pork tenderloin is just as easy, if not easier, to prepare! 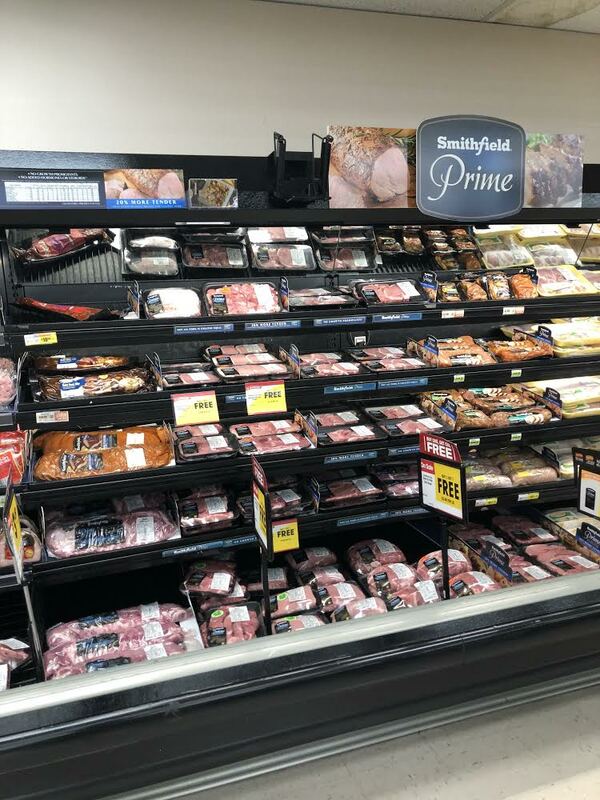 I picked up Smithfield® PRIME FreshPork Tenderloin for this recipe, from my local Associated Food Store, Dan’s Foods and you can also find it at your local Clark’s. You can find it in the fresh meat department! Not all pork is created equal, and my go-to when cooking is Smithfield pork. It’s 20% more tender that other leading brands of natural* pork, and it’s NATURAL! No growth promotants†, no added hormones or steroids**, *Contains no artificial ingredients and no more than minimally processed, and gluten free! Plus it’s a product of the USA, which I love! But let’s get back to the good stuff, shall we…? 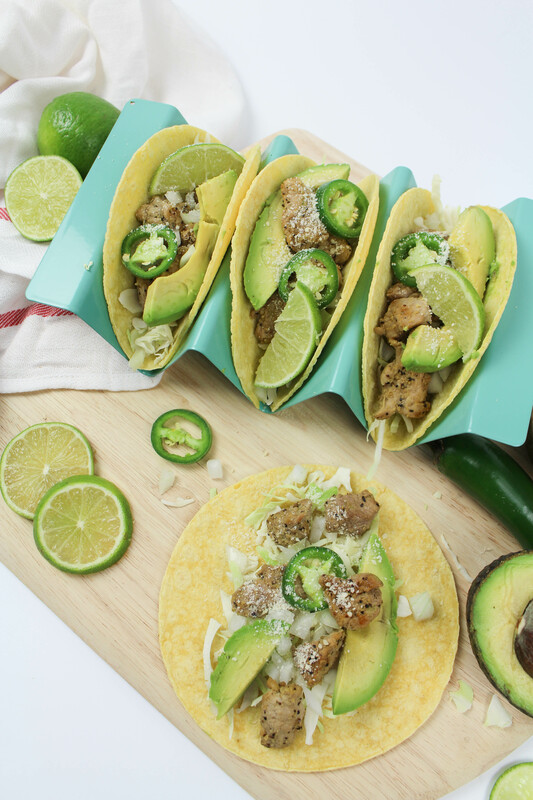 These pork tenderloin tacos! In a small bowl mix the spices together. Set aside. Remove the pork tenderloin from the package, and trim off any excess fat. Cut the pork loin into cubes (about 1 inch in size). Toss the pork tenderloin cubes with the spices, covering them well. 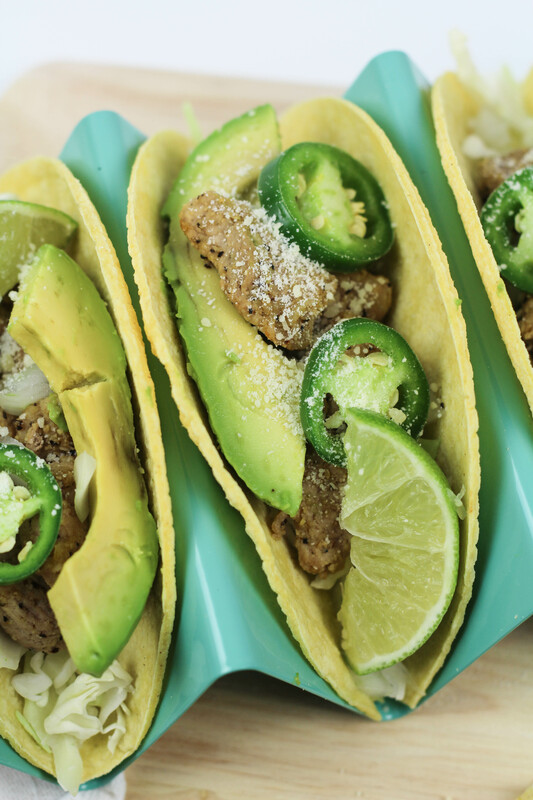 Remove the pork tenderloin pieces from the pan and allow them to rest while you prep your tacos! I prefer to warm up my tortillas, when serving tacos, but they are just as good at room temperature too! 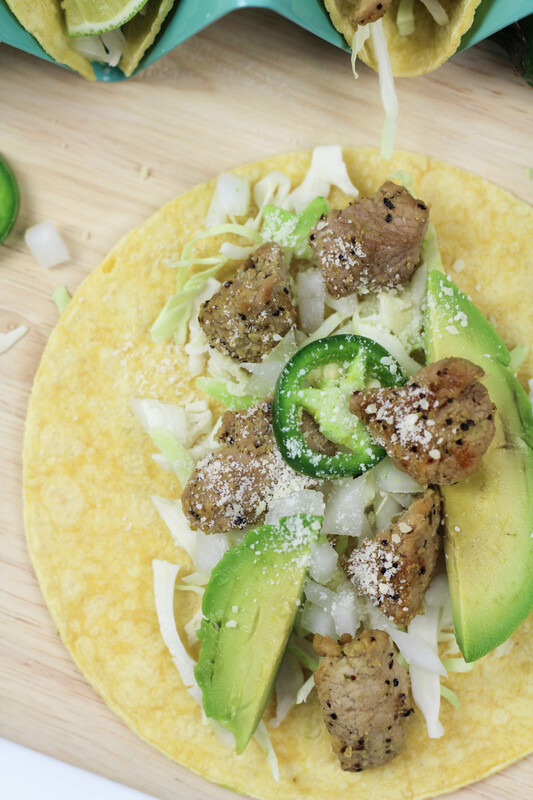 Add your desired ingredients to your corn tortillas and layer in the pork loin pieces. 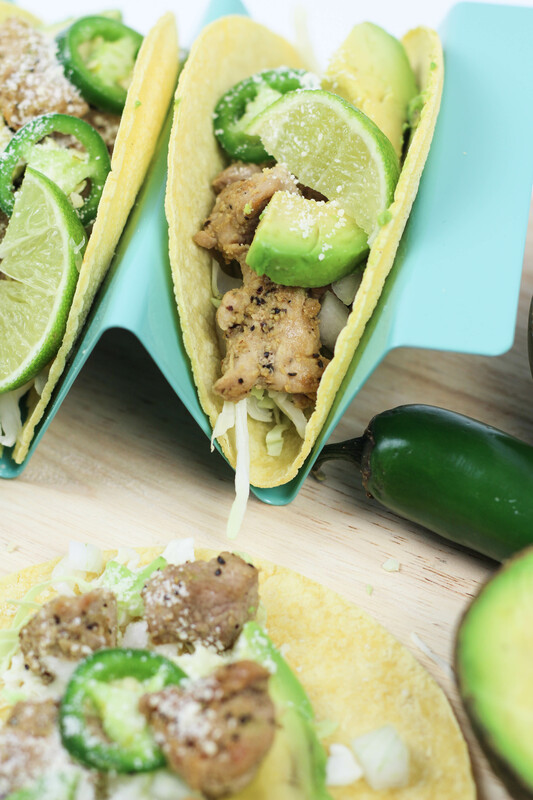 These pork tenderloin tacos would be fun to serve at a tailgate, outdoor event, or BBQ too! 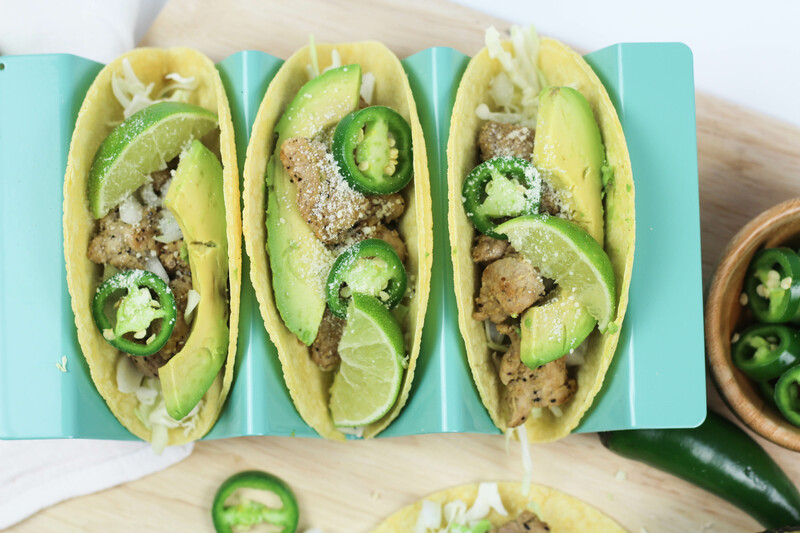 Just offer different toppings in containers on the side, so that guests can create their own taco masterpieces and get involved in the process. Plus, it keeps you out of the kitchen and able to spend more time enjoying the company of friends and family! 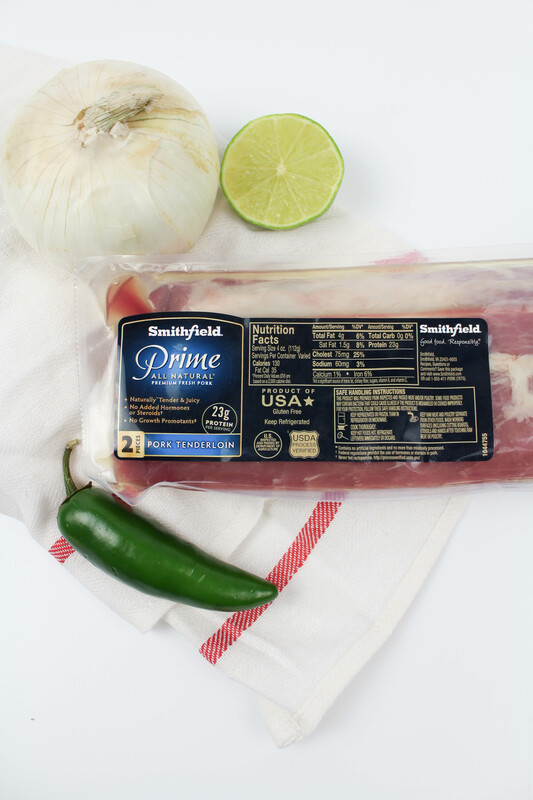 Check out other great recipe ideas using Smithfield Prime Fresh Pork here!